but when it comes to the Parisian’s stunning music you are reminded of nobody else but her. Jain’s songs have no future agenda or past nightmares: it is situated in the here and now. Her debut album, Zanaka, (released in 2015) created vacillation and amazement in critics. Each intricate, intimate number creates smiles and stun: performing at various ceremonies (including the French Grammys) she reduced grown humans to infantile simpletons. The reasons she makes my run-down is because of that beguiling, romantic quality: the dichotomies, consistencies and eccentricities that make Jain one of the most sought-after and unique talents to grace 2017. Jain’s country/touring-mate Christine and the Queens (Héloïse Letissier) created one of last year’s finest singles in Titled. There is a great love for Gallic music and the inexplicable beauty, sophistication and soul-touching revelation other nations cannot achieve. Whether Christine and the Queens has an album in her this year remains to be seen but Letissier remains one of music’s most striking and inspiring personalities – chosen as one of BBC’s ‘100 Women’ in 2016. The same qualities and attributes can be applied to Jain: an exciting, luminous personality that has a vintage charm and colourful aesthetic. In a music world of greys and blacks; dull, faceless bands and generic, processed Pop puppets - having the likes of Jain in our midst is a much-needed shot of life and character. Jain’s sunny, rhythm-heavy songs have been taking her all across Europe the last couple of years – I shall get onto her touring plans in the last segment of the feature. 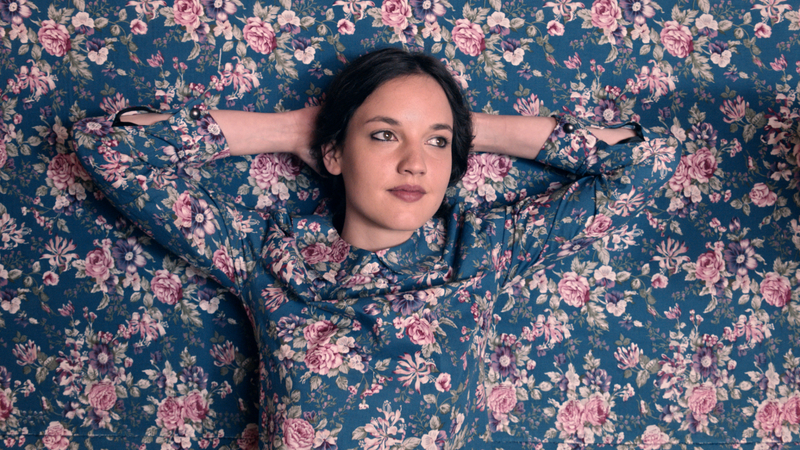 There are many reasons why Jain should be on everyone’s list of ‘Artists to Watch’ this year. She has a lot of inspiration brewing: life on the road could only have inspired her mind. Jain will be eager to get back into the studio and put some of her adventures and travels onto tape. She mixes African rhythms, Electro. and Reggae; Hip-Hop and Pop into her music which stems from a varied and multi-genre upbringing. This is all reflected in Zanaka: one of the most impressive and accomplished debuts from any artist in the last few years. The songs on the album are a diary of the singer’s life (from the ages of sixteen and twenty-three). Including periods in The Republic of Congo (her father’s job relocated the family there) and the U.A.E. ; this itinerant upbringing is directly fed into the music. From charting songs Come - it reached number one in France in 2015 - and Makeba - going in at number fifteen last year - to HOB (Lily Allen-meets-Groove music); Heads Up’s sheer drive, continent-spanning, cross-pollinating party-eruption – there are a couple of political songs on the album to add more texture and weight. Like Christine and the Queens (I shall not mention her too much more) there is that range and authority no matter what genre is performed; no matter what subject is being addressed. “Congo is the place where I discovered music and rhythm, we always listened to a lot of African singers at home, so it’s where I’m musically born and it’s where I found myself. So it’s a very important place for me and it influenced me a lot on my own writing, in the melody, the lyrics, and everything”. The video reminds me a bit of Michel Gondry (the legendary director who has created videos for the likes of The White Stripes and Daft Punk) but that goes to show just how much work and attention Jain put into her earliest work. Not wanting to create something ordinary, predictable and forgettable: the film is arresting, hugely impressive and visually scintillating. In addition to revealing lesser-known facts about herself (“I have a bad memory with lyrics, so before every concert I rap very fast all my lyrics…”); it is an illuminating interview that showed where she was back in 2015. Poly-culturalism is at the heart of everything Jain does and (Jain) was keen to reflect the various cultures she witnessed through her music. She is equally touched by what is happening in France and Europe – the Electronic music and how fearless and bold new artists are – so you get a conglomeration of Africa and Europe in the music. In Toulouse, where Jain was born, there is a rich local scene that influenced her from the very start. Kid Wise is a name she often brings in and an artist that comes highly recommended. If you think her name is an abbreviation of ‘Jainism’ then you are (sort of) half-right. Jain is, as she has said in interviews, not a ‘Jainist’ but espouses messages of peace and unity through her music. She is someone who wants to promulgate a finer ethic and encourage the listener to embrace the good; purge what is bad/corrupt. Just before I come to look at her tour dates and 2017 possibilities, I have been perusing an interview she conducted with Zadig & Voltaire (a fashion website who described Jain as a “Pop Princess” in their piece. “I hope so! Musically, I constructed myself at the same time that I was following my parents in their travels. I started playing the drums, then Arabic percussions in Dubai but it’s in Congo where I lived that my artistic project took form. I was 16. I wrote my first songs at this time, but I wanted to wait: I wanted to be sure of what I was doing, of what I will be presenting to the public”. Jain went onto reiterate how she creates a Pop melting pot and does not follow easy conventions and conform to pack mentality – what the big labels want; something that is disposably radio-friendly. Her music idols were unveiled (Radiohead and Daft Punk among them) and her relationship with tribalism and native groups (“They are my roots. For a long time I was wondering where they were, geographically speaking, until I found out that it was my family and friends: no matter where I live, they are home”). One of the most important questions, and best answers from Jain came when asked whether the ‘musical’ Jain differed from that of the ‘at-home’ Jain. “No, Jain is an exacerbation of what I am – like a close-up. When I put on my home made black and white dress, it is to better reveal a side of me. I choose the very graphic black and white, because this absolute contrast sums me up. To accompany my music, which is colored, I wanted something more austere”. Most of the press attention levied towards the French musician occurred in 2015. She has a huge fanbase (tens of thousands across social media) but remains a lesser-known quantity in the U.K. and U.S. Jain has expressed desires to tour more in America and Britain but spent most of the last year (and 2015) promoting her music across Europe. The fact she has such a loyal and growing army of supporters in France has kept the young artist busy. That looks set to continue unabated as we head into spring; just look at her tour dates. Throughout February, Jain plays venues across France and Belgium; that continues into March – until 12th where she heads to Nashville’s 3rd & Lindsley. The North America dates are crucial and seem to signal new material is forthcoming. It has been over a year since her phenomenal debut, and the fact a bi-continental tour is afoot, suggests some fresh material might be premiered there. Jain travels across California and Oregon before reaching Canada on 27th March (Biltmore Cabaret in Vancouver). There are more U.S. dates in April where she will play the Rock & Roll Hotel (in Washington D.C.) on the 9th. It is an exhausting and far-reaching next few months but Jain would not have it any other way: she loves being on the road and reaching new audiences.